ServiceMaster Clean of Edmonton has been providing janitorial services to area businesses for over 20 years. Our focus is on providing the highest quality and best in class janitorial services for all our customers without compromise. Given our vast experience, we are able to take on any size workplace from a single office to an office tower. Using our Capture and Removal Cleaning® methods and Green For® cleaning products our janitorial staff work efficiently to create a healthy and comfortable work environment for your staff. ServiceMaster Clean of Edmonton provides janitorial services to a wide variety of industries. 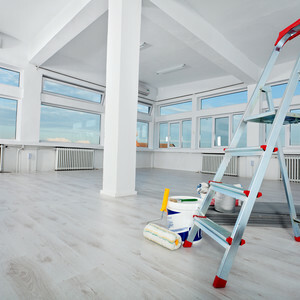 We work with our customers to understand their unique office cleaning needs and customize our services and schedules to keep their facility looking great. We can tailor a janitorial service plan just for you. Our highly trained janitorial professionals are dedicated to going above and beyond your expectations. Through communication and teamwork, we clean your office exactly the way you like. We use the latest cleaning techniques, equipment and products to do the job right the first time. You can count on ServiceMaster Clean of Edmonton to help your business look it's best every single day.